Fortress Distribution has introduced Guard-Dogs Aggressive Eyewear to its collection of PPE. Guard-Dogs, Aggressive Eyewear is a growing US brand with an eyewear range which focuses on quality, strength, and durability, with a major emphasis on protection from debris in aggressive work environments and high-speed activities. The range offers numerous goggle and eyewear styles and combinations that have been specifically designed to keep dust, industrial particulates, wind, insects, grit, sun and anything else that flies at you, out of your eyes. Guard-Dogs have a FogStopper Coated Lens to reduce fog and moisture build up and the Optical Grade Polycarbonate Lens is distortion free, providing 99.9% UV protection. 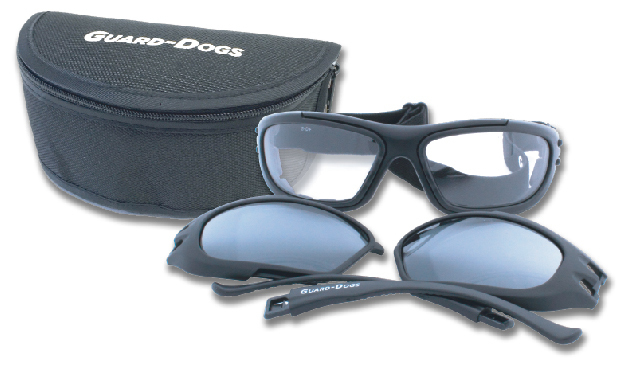 Guard-Dogs, Aggressive Eyewear is said to fit extremely well, seal the eye area properly and is comfortable all day.